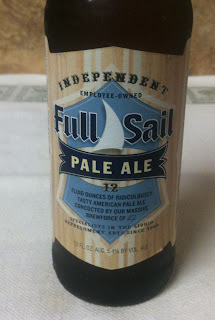 Today I am having the Pale Ale from Full Sail Brewing Company. The twelve ounce bottle lists 5.4% ABV. 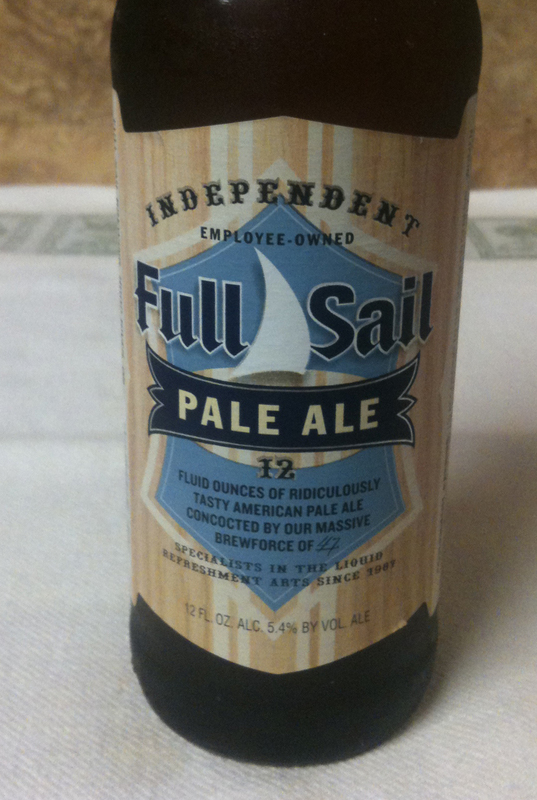 The Full Sail web site shows 37 IBUs. This beer poured with a small, bone colored head. Beer color is a somewhat darker golden amber. The aroma has some malty sweetness, a little spice, a touch of fruit or floral. I expected a little citrus, but I am not really getting it. Medium bodied. 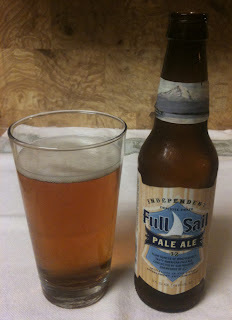 The taste has some biscuity malt, some spice and a mild underlying sweetness. Floral/herbal hops. Not getting any real citrus to the taste either. A small amount of bitter in the background, that sticks around a little in the aftertaste. This is a nice medium bodied beer, just not quite what I was expecting.